Research from Statistica (statistics portal website) reveals that spending in the UK takeaway market reached an estimated £10.1 billion in 2017. The research indicates that at its current rate, the UK takeaway market will reach an estimated £14.1 billion by 2021. With the UK takeaway market on the rise again, the requirements for quality single-use food packaging will continue. 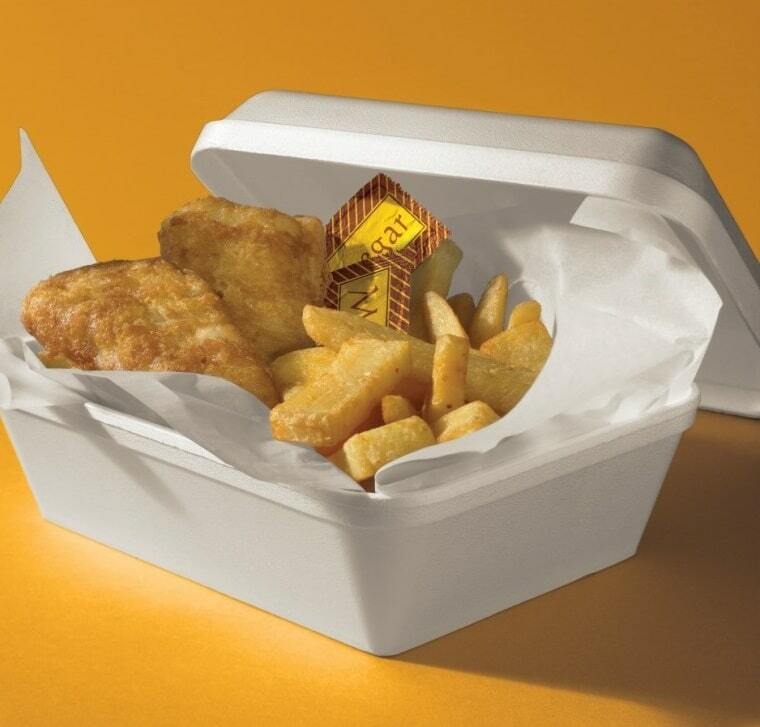 To cater for the needs of takeout customers, Dart Products Europe have introduced Diner-Pak™ containers and lids*. Diner-Pak™ containers and lids are the perfect solution for multi menu applications – from fish and chips right through to ice-cream and waffles. Available in sizes 15oz, 26oz and 34oz, Diner-Pak™ containers and lids are injection moulded to ensure durability, strength and thickness every time. This means that the containers and lids are light but strong enabling them to be stacked without crushing, ensuring consumers receive their food order in perfect condition. With containers and lids being sold separately, this diverse range offers the flexibility to serve food without the lid for immediate consumption, or with the firm fitting lid for takeaway applications, helping reduce inventory costs. When placed under the container, the lid can also act as a tray. Diner-Pak™ containers and lids are made from EPS (expanded polystyrene) – a fully insulated product that can be used for both hot and cold food applications. EPS can be recycled into new foam packaging or durable consumer goods like cameras, coat hangers, CD jewel cases and more. You can recycle your EPS packaging by taking it to a specified drop off location. EPS also contains 93 per cent air, making it one of the lightest packaging materials on the market, with a very low carbon footprint and reduced fuel consumption during transportation. With all of these added benefits it’s clear to see why Diner-Pak™ is in high demand! For more information on Diner-Pak™ containers and lids from supplier Dart Products Europe – please contact your local Bunzl Catering Supplies branch.